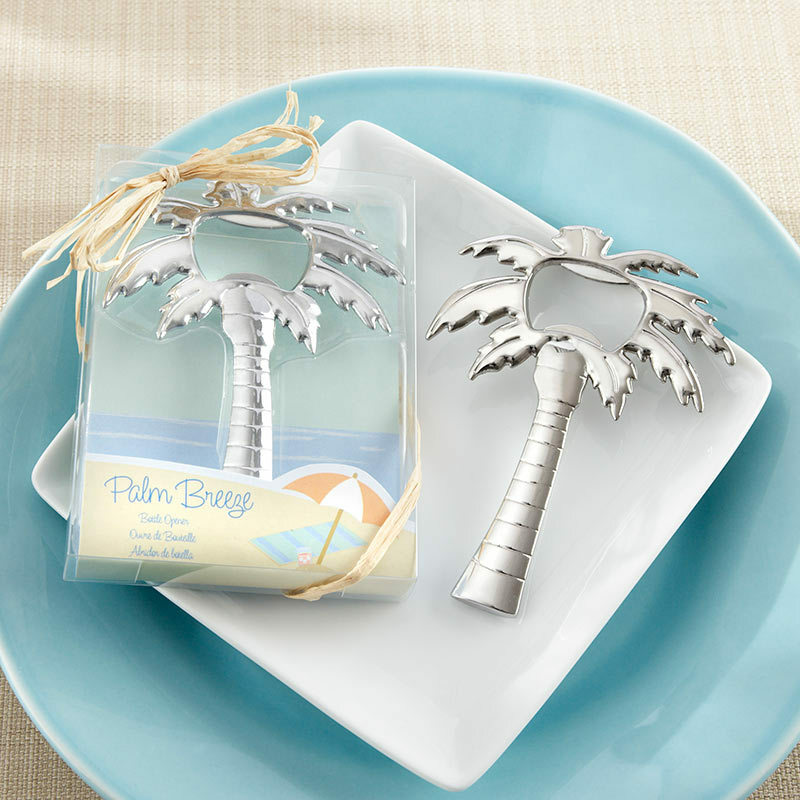 Shiny chrome-finish palm tree-shaped bottle opener. Bottle opener measures approximately 4" h x 3" w.
Clear display gift presentation includes sand, sea and sky cardboard graphic with a natural-raffia tie and bow. Gift box measures 4 1/4" h x 3 1/8" w x 5/8" d.
Please allow 5 business days to fulfill your order; then add ship time from GA.